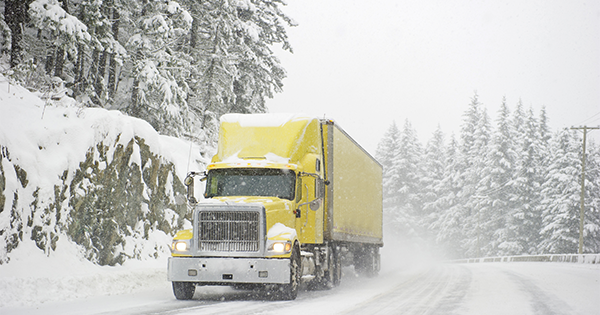 Winter Is Around The Corner – Tips To Prepare Your Fleet | Tracking Systems, Inc. Cold temperatures, snow, ice and the salt that is spread to combat them are hard on all vehicles, especially fleets that are constantly on the road. It can be easy to wait until a problem happens but routine maintenance can help save your vehicles from falling victim to winter woes. Below are some tips to prepare your fleet for the cold months ahead. We mentioned maintenance above because it is that important, especially during the harshness of winter. Cold weather breaks down wearable components. Make sure the battery is tested, the connections are clean, and any worn belts, hoses and brake pads are replaced. Staying on top of routine maintenance can help prevent expensive repair costs in the future not to mention the possible prevention of lost driving time by having a vehicle out of service. Keep an eye on your tires. Tire pressure can vary drastically in different temperatures so make sure you and your driver are always checking for proper tire inflation. Also always check the tire chains before they are put on vehicles. Remind your drivers to step up the RPMs. It is very important to not let the vehicle idle, especially with diesel engines. The filter will plug up and will not be able to regenerate itself and will require the vehicle to heat up and burn off the soot. One of the most common issues in the winter with fleets are a drop in fuel economy or vehicles not starting when frigid temperatures begin. Winterized fuel will operate in temperatures below zero helping your fleet stay on the road while keeping fuel costs low. The number one issue for damaging fuel pumps and injectors is water in the fuel system during subzero temperatures. Having water in the fuel systems creates a cold engine startup that most fleet owners believe to be “fuel gelling” but it typically is not. Water is turning into the ice in the storage tanks and filtration systems. This plugs the filters during the first cold snaps. You can avoid this issue by regularly draining the water separator and replacing water-absorbing filters. Make sure you choose the right oil. In low temperatures, heavier oils can be too thick to effectively lubricate. It is important to have a full synthetic oil with a lower temperature viscosity. Other fluids to be sure to regularly check are coolant, power steering, windshield washer fluid, and brake fluid. It’s easy to forget about the necessities your driver needs to fully function during winter months. Make sure you check the heater and defroster, equip your fleet with an emergency kit that includes survival items such as water, flares, solar blanket, jumper cables, and perishable food. The best part about GPS Monitoring from Tracking Systems? Peace of mind. Tracking Systems, Inc is well known for the peace of mind we give fleet managers by providing top-of-the-line GPS Tracking services, refrigerated temperature tracking, and outstanding customer service. For more information about all of Tracking Systems features and services, give us a call at 845-738-2200 or visit our website at www.track-sys.com.